The Width block generates as output the width of its input vector. You can use an array of buses as an input signal to a Width block. For details about defining and using an array of buses, see Combine Buses into an Array of Buses. Input signal specified as a scalar, vector, matrix, or N-D array. 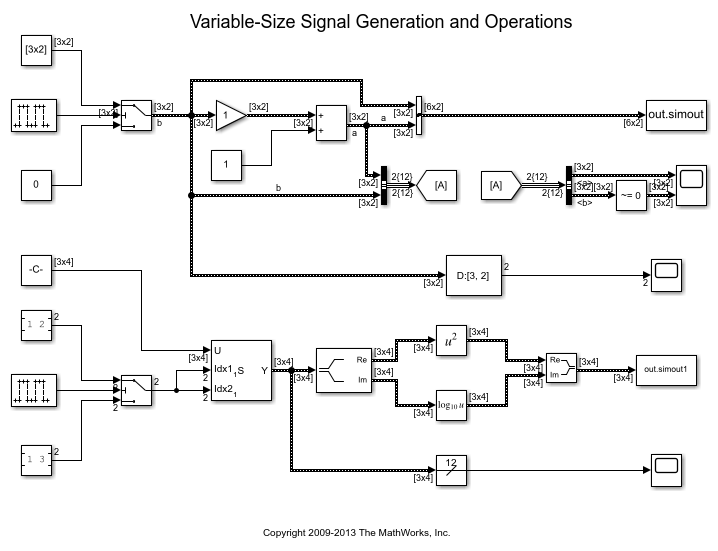 Output is the width of the input signal, specified as a scalar. Specify the output data type to be the same as the input, or inherit the data type by back propagation. You can also choose to specify a built-in data type from the drop-down list in the Output data type parameter. This parameter is visible when you select Choose intrinsic data type for Output data type mode. Select a built-in data type from the drop-down list.